Arif Huseinov is a National Artist of Azerbaijan, a Professor, the prominent artist-miniaturist and illustrator of compositions. The artist was born on the 30th of October in 1943 in Baku. He is a graduate of Art College named after Azim Azimzadeh. In 1972 he graduated Azerbaijan State University of Culture and Art. Arif Huseinov is a wonderful author of book illustrations, great teacher, loyal patriot of his country. The endless love to the Motherland is felt in his works. 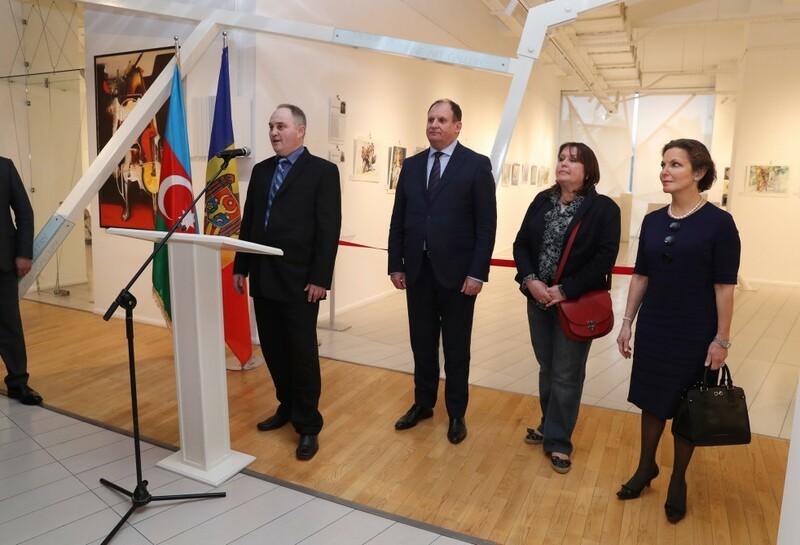 In 1994 he was a founder of the first gallery “World of Azerbaijan”. Before this period, basically, he had been engaged in easel and book graphics. Besides prominence in his native country, a lot of people overseas are familiar with the creativity of this artist. 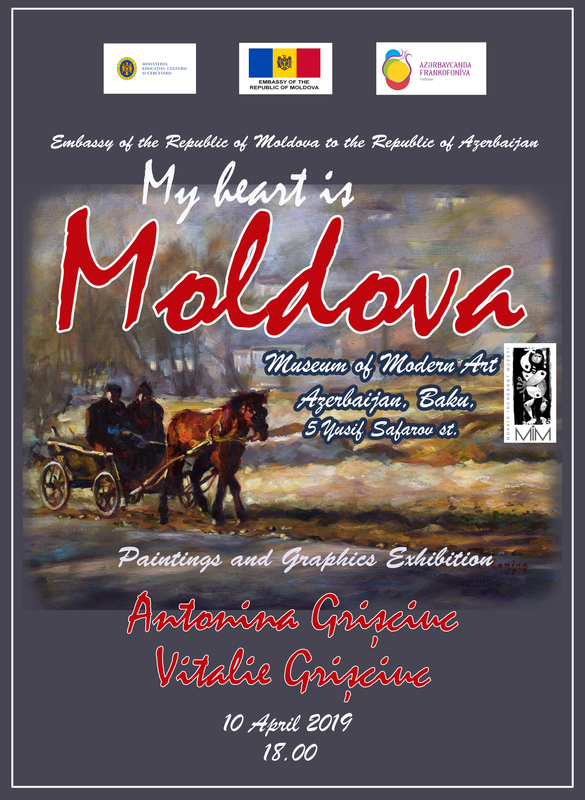 His exhibitions are held in all over the world up to now – in Moscow, Prague, Istanbul, Tokyo, etc. 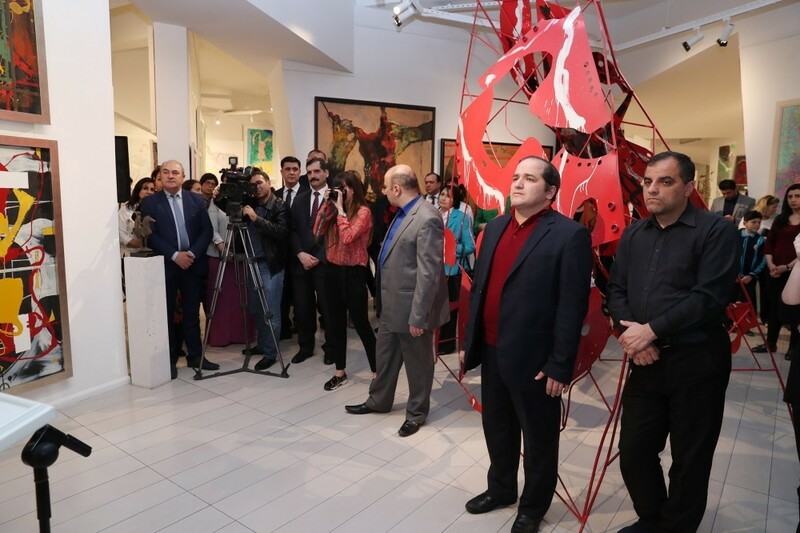 The artworks of Arif Huseinov are kept in National Museum of Art of Azerbaijan, State Museum of Oriental Art in Moscow, Azerbaijan National Art Gallery and in private collections. To quote Natig Rasulzadeh -Honored Art Worker, Arif Huseinov has the main quality as an artist that every creative personality need to possess. He likes to create the beauty. He possesses by sensitive soul of the artist. All what he cognizes, all beauty of the world amazes this Wise artist. In 1995 Arif Huseinov received “Humay” award for the achievements in Fine Art. In 2006 he was honored with the title of National Artist of Azerbaijan. The artist spends part of his time on working with young generation, children and teenagers. He has a studio where he teaches young artists for future fine arts of our Republic. 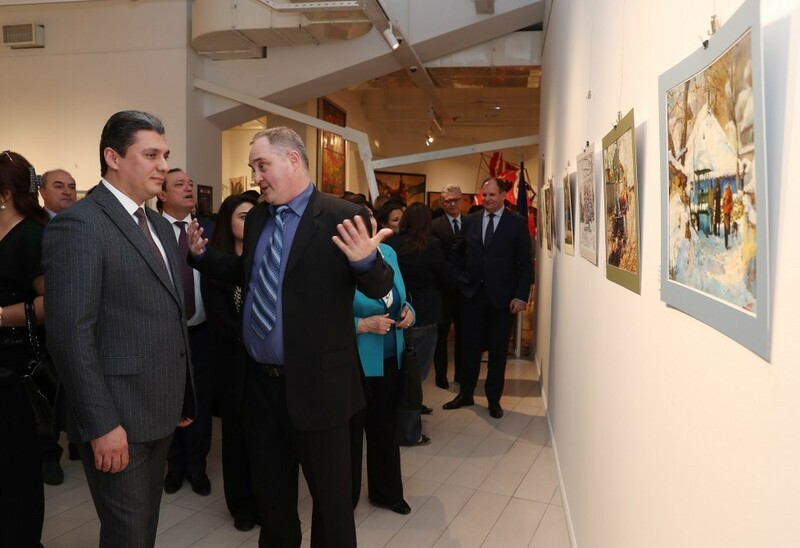 He demonstrates rich inner world and character of Azerbaijani people by his artworks. 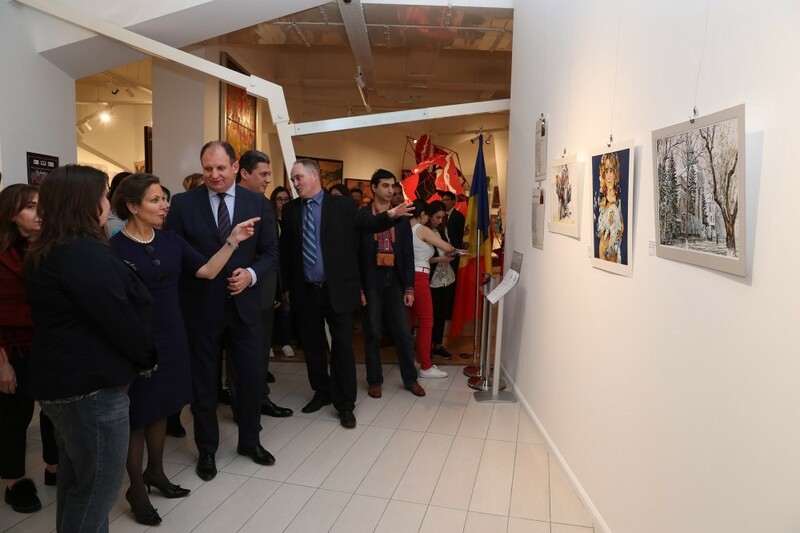 More than 50 documentary and art graphic works will be represented at the exhibition. The given works are based on specific historical materials. 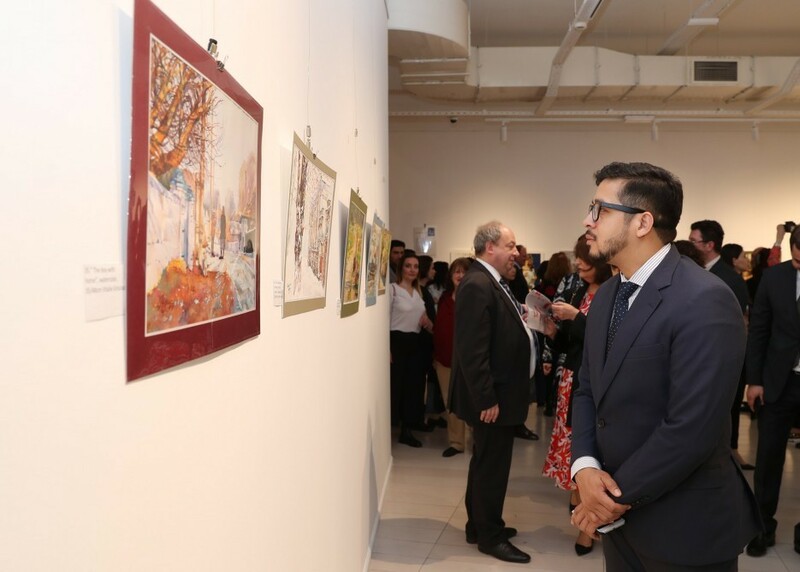 The series includes the works which Albanian churches are portrayed on, famous historical facts, specific landscapes and portraits of historical personalities. 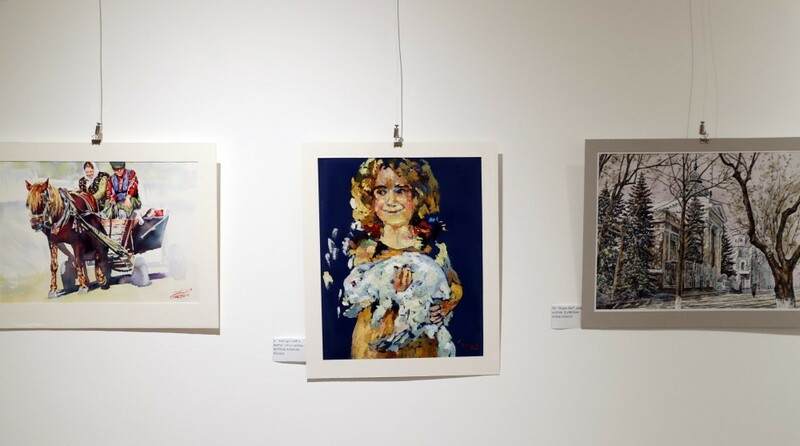 Turkmenchai Treaty, remaking of Albanian churches, compositions devoted to Khojaly are depicted on these graphic pieces. The special feature showed at this exhibition in that the works do not have any titles. The text is written on the graphic work which describing events and people portrayed on the work. 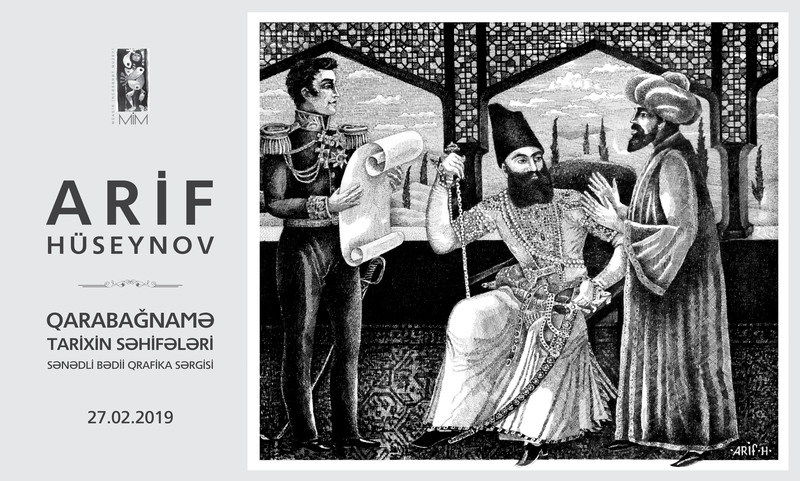 Graphic pieces of the “Letter of Peter I”, Turkmanchai Treaty”, Ganjasar monastery”, “Shotstatues”, Garabagh war”, “Panakhali khan”, “Folk musicians” and so on depicting historical truth through the exquisite imagination of the artist are quite attractive and catchy. Black and white graphics will have visual impact on viewers. The exhibition has educational character. The great historical information is inherited in it. Every citizen of Azerbaijan must know his history. As Garabagh is our Land, our History. 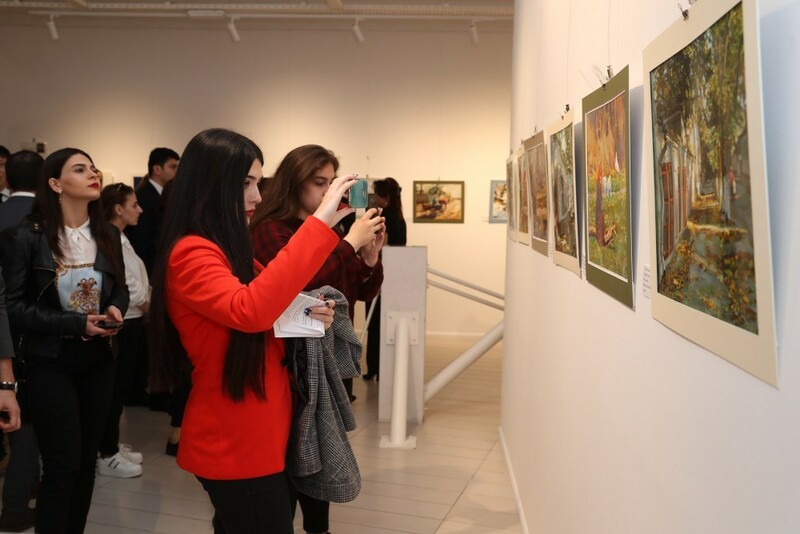 In connection with the opening ceremony after a major renovation and on the eve of the 110th anniversary from the birth date of the National Artist of Azerbaijan Sattar Bahlulzadeh the Museum of Modern Art presents the exhibition named as “Melody of touches”. Sattar Bahlulzadeh was born on the 15th of December in Amirjan settlement near Baku. When he was five years old Sattar got involved in drawing. The walls of his house were decorated by his “paintings”. The teachers in the school liked creativity of the young painter. They used to say to Sattar that his only way leads to art. In 1927 Bahlulzadeh entered Azerbaijan College of Art where he could get professional education. In 1931 after graduation of College he began to work in the “Kommunist” newspaper as a “graphic artist” under the direction of Azim Azimzadeh. He went to Moscow in order to go on his education. In 1933 Sattar entered Moscow Art Institute named after Surikov to the graphic faculty. During summer experience in Crimea the Russian painter Mark Shagal noticed some sketches of Sattar Bahlulzadeh. Afterwards he suggested him to pass to the faculty of painting. Sattar Bahlulzadeh is an Azerbaijani painter who is mainly famous for his big landscapes with lyric motives which chant nature of Azerbaijan. He is one of a founder of modern Azerbaijani landscpape painting and a founder of Azerbaijani impressionism style as well. Besides picturesque works the artist created graphic works. 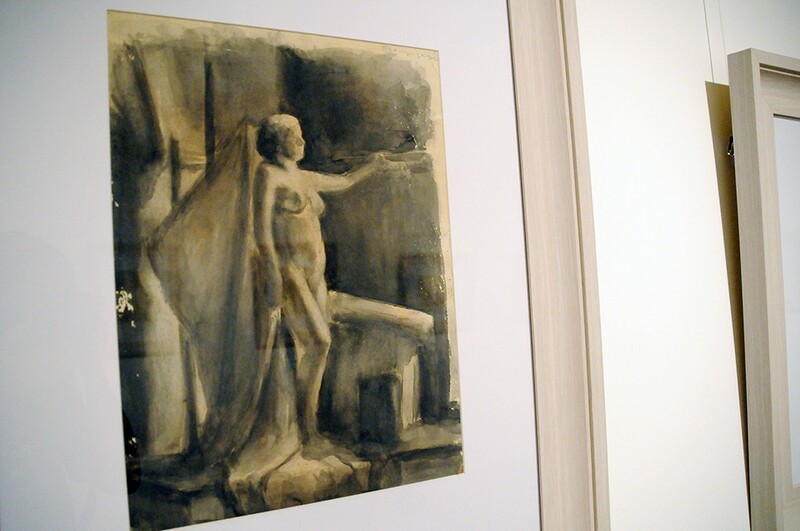 These artworks of the painter except for classical completeness attract attention by its strength improvisation. For the last decades of his life the artist increasingly wished to fulfill his paintings by spiritual meaning. He considered that any work of art must have such meaning. The combinations of light colors play main place in his artworks. Bahlulzade devoted to every canvas quite a long time. However there are no winter landscapes among his artworks. Winter landscapes did not attract the artist. In that period he spent time at his workshop where he were creating new paintings on summer etudes or modified unfinished works. In 1973 Sattar Bahlulzadeh was extremely ill with a case of blood poisoning. His friends took him to Moscow for curing where he was operated. In 1974 he passed away. He was buried in his native Amirjan settlement. 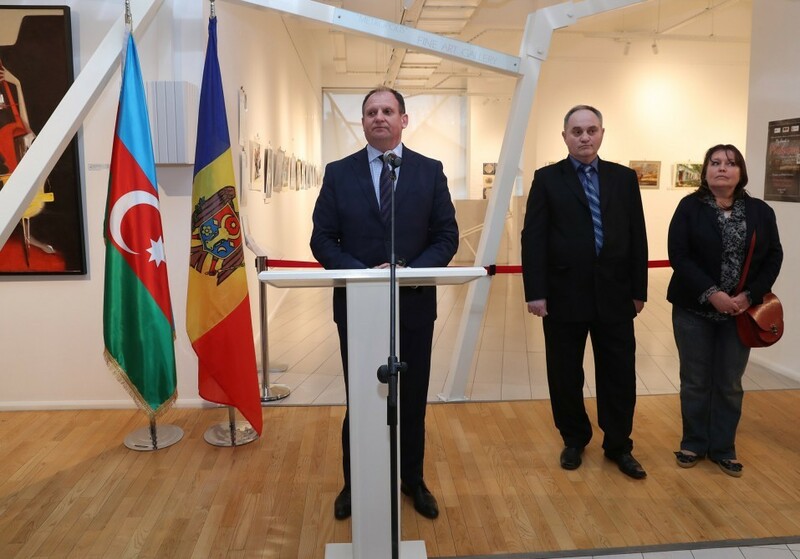 The museum-house was opened in Amirjan settlement where the artist was born and spent most part of his life in which personal things and copies of the paintings were presented. 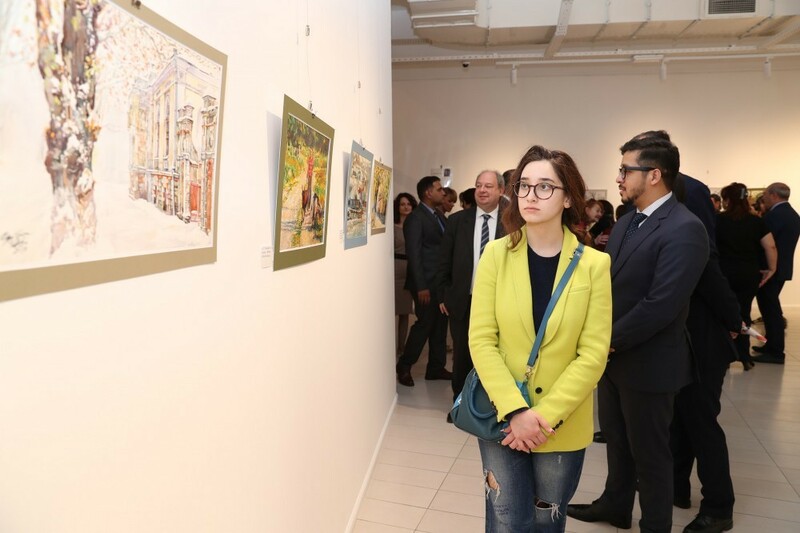 The artworks of Bahlulzadeh were represented both in republican, all-union and at personal exhibitions in Baku, Tbilisi, abroad as well - in Egypt, Algeria, Iraq, Tunisia, Lebanon, Syria, France, Belgium, Norway, the Czech Republic, Germany, Bulgaria, Hungary, Romania, Cuba, Japan, Canada etc. 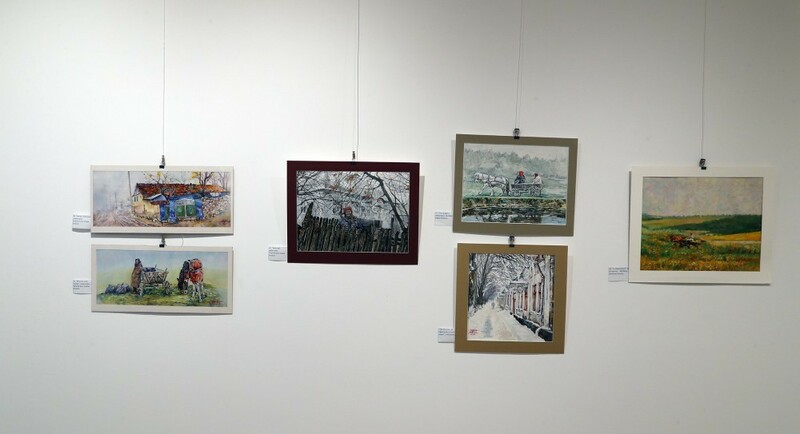 The artist’s graphic artworks are presented at the exhibition named as “Melody of touches” from the private collection which never exhibited before. 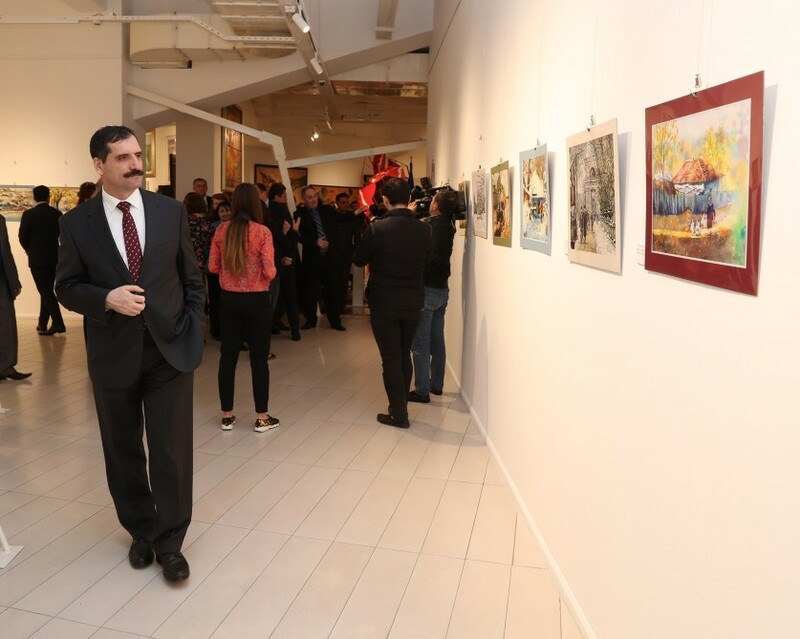 The quests of the exhibition can see the exposition consisted of more than 130 unique paintings of the great painter Sattar Bahlulzadeh.